The image above is by Joe Jusko, and it's his magnificent illustration for TARZAN AND THE GOLDEN LION. I never went to Saturday morning cinema -- there were two big cinemas in Gloucester which showed films for children Saturday mornings, but Gloucester was seven miles away, a bus ride before I got my bike, and there were always other things to do. We would play football, for example, or climb trees, or go up Cooper's Hill where they roll the cheeses down at Whitsun. Always something to do. Like homework, of course. But never Saturday morning cinema. When I did get to see a Tarzan film, it was in the local fleapit cinema on the council estate. They showed all of the big films there, just six months after they'd come out, six months after they'd been shown in the big cinemas in the city. I remember queueing for what seemed like hours to see THE DAM BUSTERS with Richard Todd, and REACH FOR THE SKY with Kenneth More. The programmes changed four times a week. Monday, Wednesday, Friday and Saturday. Friday evenings were reserved for films that were X rated, horror and adult films with plenty of violence. Saturdays were always the big new films, the ones that were only six months old, repeated on the Sunday. Mondays you had two B movies, then another two B movies on Wednesdays. I think it was a Wednesday evening that I went to see my first Tarzan film, and it starred Lex Barker. 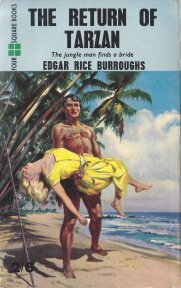 Looking back, I don't believe the film bore any resemblance to the literary Tarzan of the Apes, but I was hooked. I went to the little newsagents at the bottom of our road the following morning -- it was probably a holiday week, half term or Easter, something like that -- and found a Four Square paperback of Tarzan of the Apes with the fantastic Mortelmans cover. 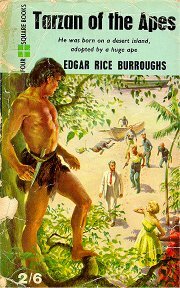 I devoured it quickly and greedily and the following morning went back to see if they had THE RETURN OF TARZAN -- the first book, in my humble opinion back then, was unfinished. I'd fallen in love with Jane and I needed to know if the matter of Tarzan and Jane was resolved in the second book, which, of course, it was. I don't have my Mortelmans Four Squares any longer, more's the pity. When we moved from Brockworth in Gloucester to Southen on Sea, I had to sell my collection of Tarzans, along with my Dennis Wheatleys, my Saints, Toffs, Inspector Wests and Whiteoaks because there wasn't any way we could take them with us in our little Standard Eight car. How I miss them! Probably worth a fortune now. I do have many, many copies of TARZAN OF THE APES and THE RETURN OF TARZAN, including the most recent one from OUP, which I thought was going to be about the book but turned out to be another reprint of the classic story, and, as far as I'm concerned, incomplete because it doesn't include RETURN OF TARZAN. Burroughs knew what he was doing when he wrote TARZAN OF THE APES. 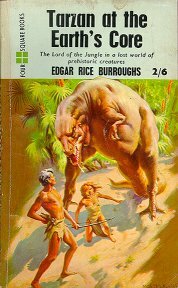 Already famous for UNDER THE MOONS OF MARS, the first John Carter story, he had TARZAN serialised in the All-Story magazine, and dropped the biggest ever cliffhanger in literature with the ending, which more or less guaranteed that people would be back for more. Burroughs invented the cliffhanger ending, it goes without saying. 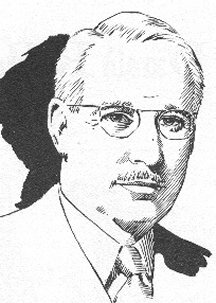 He also invented pulp fiction and fantasy, in a way, because John Carter and Carson of Venus and Pellucidar are more fantasy than science fiction, and nothing quite like them had ever been written before. 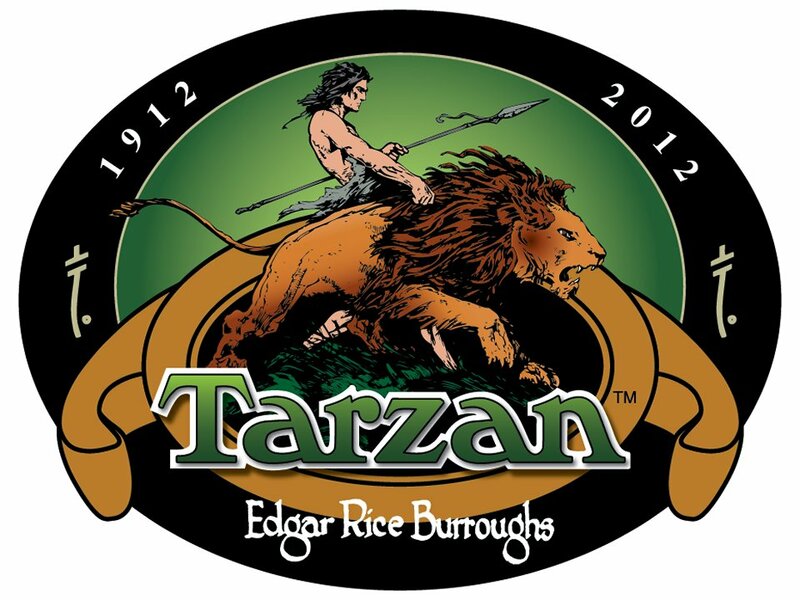 But this is about Tarzan and the profound influence he had on me in my formative years. For as long as I can remember, I have read avidly. Every opportunity for receiving books as gifts on birthdays and at Christmas were seized upon. Every spare penny that didn't go on Bobby Darin and Acker Bilk records went on books. By the time I was twelve years old, the only Tarzan book I didn't have was TARZAN AT THE EARTH'S CORE, and my friend James lent me the two shillings and sixpence I needed for it when I saw it in the book basement of the seven-storey Bon Marché stores in Kings Square, Gloucester. But the Four Squares weren't the only source of Tarzan for me. There were the films. I lapped them up, pausing only briefly to reflect on the fact that Weissmuller, Barker, Scott et al didn't really represent the Tarzan I knew from the books. 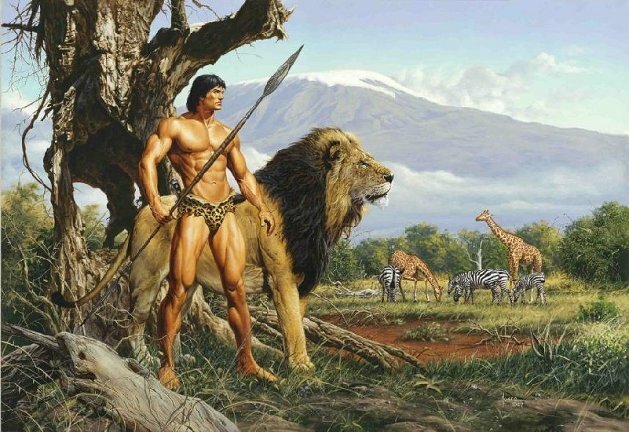 I'm going to stick my neck out and say that there has not yet been a Tarzan film that is true to the books and portrays Tarzan of the Apes in the way he is portrayed in the books. Which is why, when you mention Tarzan to people, they turn their noses up and express an opinion that Tarzan is trash, rubbish, for kids, etc. 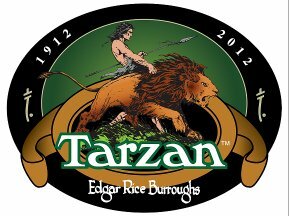 TARZAN OF THE APES and THE RETURN OF TARZAN are two of the most original romantic stories in the entire literary world. You don't believe me? Read them for yourself. It is classic literature, the like of which has never been written since. It is pure fantasy, of course, but it is brilliant literature, simple but effective, and nothing whatsoever like any of the Tarzan films that have been made. Quite a few TV series, too, have attempted to capture Tarzan on film, but they've all made the mistake of setting their series in the present day, with jeeps and so on. It doesn't work. Ron Ely is the best of the TV Tarzans, and the only one worth mentioning. 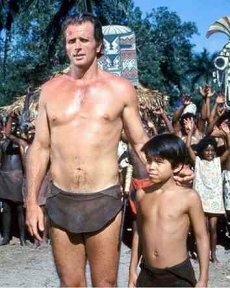 TARZAN THE APE-MAN starring Bo Derek and Miles O'Keefe sticks closest to the story but misses out the most important part, the fact that Tarzan teaches himself to read and write English, though not to speak it. He is later taken to civilisation by the Belgian soldier whom he has saved, D'Arnot, where he becomes a civilised man and later secures his birthright, the Greystoke estates in England. He does get to marry Jane Porter, and they live in East Africa, where he is Lord of all he surveys and not far from his beloved jungle and his original family, the great apes, of whom he is and always will be the undisputed chief. So, why the title of my essay, SUNDAY AFTERNOONS WITH TARZAN? Well, back in the 1950s/1960s, the shops didn't open on Sundays. Only the news agents, and then only till about noon. There were no computers, no computer games, no afternoon cinema. So what could you do on a Sunday? Go to church in the evening, certainly, and listen to Hancock's Half Hour on the wireless. Movie-Go-Round in the afternoon informed you what films were coming up and that you would be able to see in six months' time in the fleapit. If you were really lucky, you could take some hand-me-downs to relatives in Hucclecote, the next village down the road on the way to Gloucester, where Aunty Grace and Uncle Les and their seven children lived. 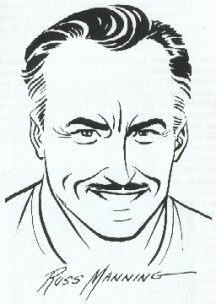 And if you were really, really lucky, you'd come back home with a bag full of American comics. SUPERMAN, SUPERBOY, SUPERGIRL, BATMAN, and TARZAN. I didn't know it at the time, but I was reading Tarzan comic strips drawn by Hal Foster, Burne Hogarth and Russ Manning, three of the best Tarzan artists ever. Had I held on to this fabulous collection, they would be worth an absolute fortune. But that didn't matter. What mattered was that here, in comic books, were the most brilliant visualisations of Tarzan and Jane. I loved it when Jane was featured in the picture story strips - she invariably ended up in a bikini, sometimes leopard skin, sometimes lion-skin, but always beautiful and a worthy mate for Tarzan and adversary for his enemies. Like I say, pure fantasy, pure escapism. And what boy didn't need to escape into those worlds in the 1950s? TARZAN OF THE APES, along with Robin Hood and King Arthur, did more to inspire me in the matter of courtesy, attitudes to girls, faithfulness, chivalry and all of those things that make us better people than anything else I can think of. Tarzan didn't sleep around, like people were doing in the early 1960s as the sexual revolution spread. He was true to his one and only love, even when it seemed he had lost her. He remained steadfast and fate threw them back together when she was stranded on the African west coast with her fiancé, William Clayton. 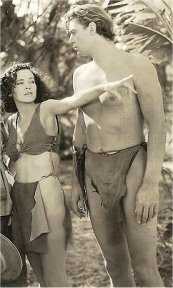 Even after rescuing her and Clayton, Tarzan still did not lay claim to her, because she was betrothed to Clayton and was a girl of her word. Unheard of nowadays, but Burroughs was always a romantic, and worshipped the notion of fidelity. It is only when Clayton dies that Tarzan is able to ask Jane to be his wife, and the rest is history. So, Sunday lunch, Movie-Go-Round, Evensong, Hancock's Half Hour, and Tarzan of the Apes. That was my Sunday afternoon pretty much sewn up. I wouldn't have had it any other way. Simpler, gentler times, formative years, inspiring heroes and the utterly fantastic Jane Porter, soon to be Mrs John Clayton, Mrs Tarzan of the Apes. . . . Fabulous. The stuff of dreams and fantasies.